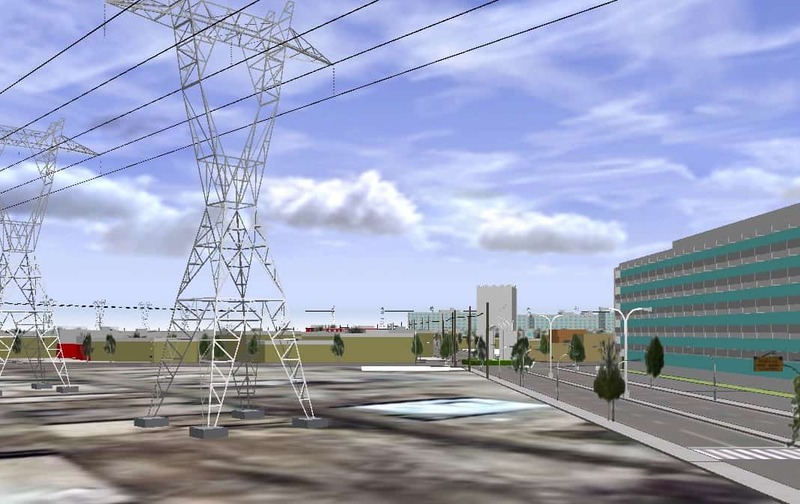 Just a quick note, I’ll post an example rule file later… basically you can model utility networks like electricity cables and pylons by using a graph network and instead of modelling a street with trees and lamps you model cables and pylons. In this example I’ve made sure the graph/street segment ‘y’ vertices are at a height of 12m (or whatever you like). Then I’ve placed a pylon every 20 metres, which are offset down by 10m (so they sit on the ground and the cable rests on their arms). Then at the same time drawn a simple black box down the centre line of the graph. It’s crude I know but the results look quite good I think. You could use this technique for anything, for example pipes/ducting underground. Has anyone tried a road tunnel I wonder? Did you ever post a rule file for utilities in City Engine? Sorry I didn’t! Why don’t you email me directly? Perhaps I can help you out? 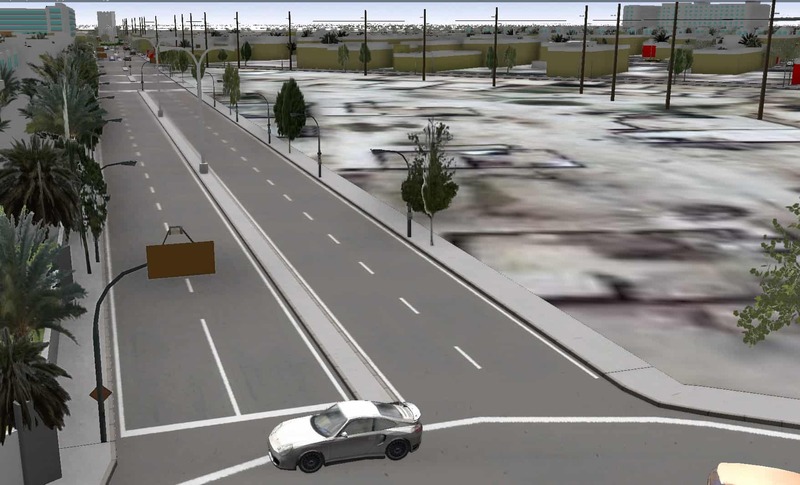 Would you mind sharing me with the rule to model sewers on CityEngine. Apologies for delay replying. You need to send me more details about what you’d use it for if that’s okay, my contact details are on the Garsdale Design website.